"Don't save treasures for yourselves here on earth. Moths and rust will destroy treasures here on earth. And thieves can break into your house and steal the things you have. So save your treasure in heaven. The treasures in heaven cannot be destroyed by moths or rust. And thieves cannot break in and steal that treasure. Your heart will be where your treasure is." Jesus wasn't very big on storing up things. The story of the Rich Man and Lazarus (Lk. 16:19-31) reminds us how easily we can forget that our blessings come from God's grace and are not something we have accomplished on our own. 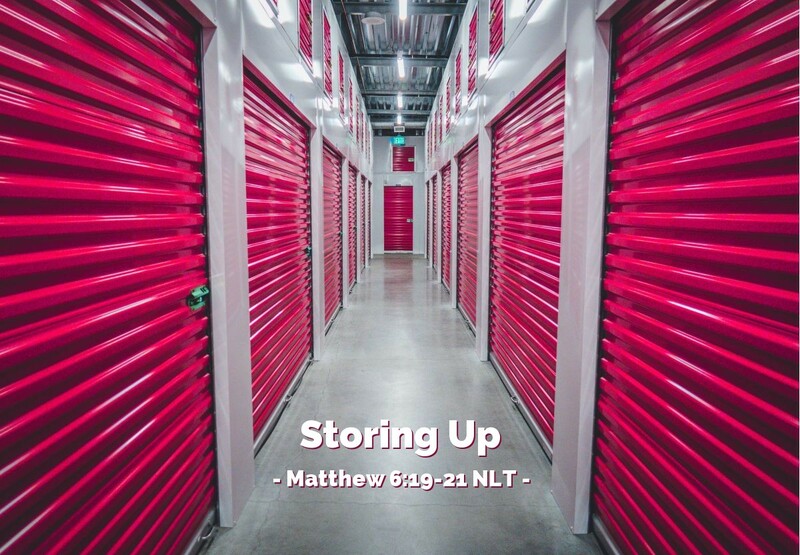 Jesus did not store up things while he was here; he shared them, gave them away, gave them to people in need, and used what he had to bless others. Jesus wants us to confront a couple of crucial questions: What is our treasure and where are we keeping it? Every earthly treasure we have is vulnerable to destruction. Every one of our treasures, except our relationship to God and his people, is temporary. So why do we spend so much time investing in things that will not satisfy or sustain? Jesus urges us to invest in what is lasting, eternal, and ultimately perfect. If we do, nothing can destroy and nothing can steal our blessed assurance that we will be victorious in Jesus. O precious LORD, thank you for investing so heavily in me and in the world in which I live. There is no one who can love me like you do. Father, please help me focus my priorities and my thoughts on heavenly things as well as placing my treasures in heaven. In Jesus' holy name I pray. Amen.